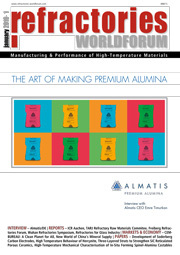 ALUMINIUM 2018 will be held in Düsseldorf/DE from 09.–11.10.2018. On February 15th, 2018 the creation of a new Imerys division was announced. 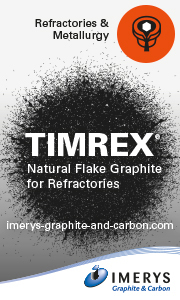 Resulting from the combination of the Refractory Minerals and Kerneos Divisions, Imerys Aluminates was created. The four trade fairs GIFA, METEC, THERMPROCESS and NEWCAST are in the process of starting. Invitations have been sent to exhibitors, companies from all over the world can register for “The Bright World of Metals” and reserve the best stand locations with immediate effect. Hydro started producing the first aluminium metal at the technology pilot in Karmøy, marking the start of verifying at an industrial scale the world's most climate-and energy efficient aluminium technology. Sulzer Chemtech/DE, market leader for separation and mixing technology, and SGL Group/DE, a worldwide leading manufacturer of carbon made products, are expanding their cooperation in the field of column internals based on SGL’s carbon fiber composite materials (CFC) going by the brand name SIGRABOND®. Utkal Alumina International Ltd/IN, a 100 % subsidiary of Aditya Birla Group owned Hindalco Industries, has sought environment clearance to double capacity of its alumina refinery in Odisha from 1,5 Mt/a now to 3 Mt/a. Market Research Hub/US has published the “Global Bauxite Refractory Market Research Report (2018–2025)” which provides an outlook of current market value as well as the expected forecast of Rate on Investment (ROI) with growing CAGR by the end of 2025. In 2017, the aluminum industry enjoyed its eighth straight year of continued domestic demand growth.